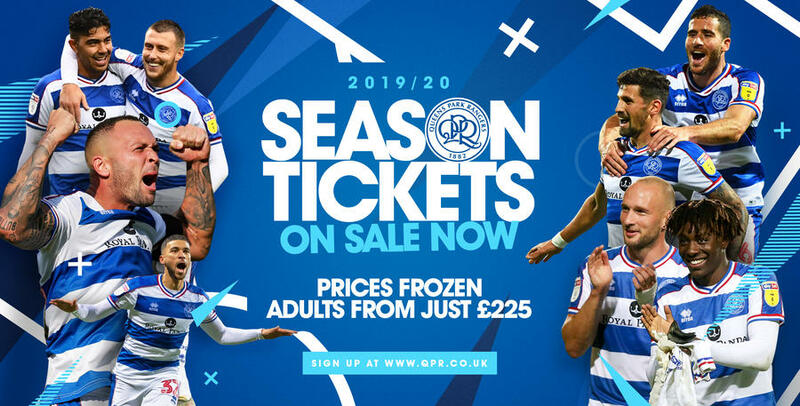 QPR Season Tickets will once again start from as little as £225 next season – equating to a pro-rata price of less than £10 per match – one of the cheapest in the Sky Bet Championship! In further good news, for the fourth season in a row, prices have been frozen in all categories. What’s more, the club will once again be rewarding supporters for their loyalty, with fans having the opportunity to renew or purchase – before 5.00pm on April 30th 2019 – at the Loyalty Window price. All existing Season Ticket holders will have until this date to guarantee their seat for the forthcoming campaign. QPR Pay – it’s the only card you’ll need! The club have also announced the launch of QPR Pay - a new, fully integrated real time payment, stadium access and loyalty solution that will be available to Season Ticket Holders and Members from the 2019/20 season. QPR Pay is a multi-use payment and venue access card, which can also be used in any MasterCard accepting retailer globally. In addition, supporters can take advantage of our interest-free Direct Debit option through monthly payments, up to a maximum of ten instalments, when renewed before 5.00pm on April 30th – with the first payment not being due until June 3rd 2019. Supporters who joined the scheme in 2018/19 will automatically be enrolled again and will be contacted in due course. All supporters can take advantage of significant savings by purchasing a Season Ticket during the Loyalty Window period. Supporters will automatically be enrolled into the QPR Cash loyalty scheme. The earlier supporters purchase their Season Ticket, the more QPR Cash they will receive. Please note, Season Ticket general on-sale dates will be released in due course and will be subject to availability. Supporters are advised that the club is currently reviewing their car park site options. Availability and further details will be announced in due course. *must be under 23 on 1st August 2019 (born on or after 01/08/1996).